Now celebrating its 25th season in Schuylkill County, the Gabriel Chamber Ensemble returns to WVIA’s Simply Grand Concert series Sunday, Oct. 19, 2014 at 3 p.m. in the Sordoni High Definition Theater at the WVIA Public Media Studios in Pittston, PA. Seating is free, but limited. To make reservations call 570-655-2808 or reserve seats online - click here . The group is dedicated to present high quality performances of chamber music repertoire. The Gabriel Chamber Ensemble delights its audiences with its informative and fun presentations, its quality of performance, and its informality. Founding member and violinist Simon Maurer is a gifted raconteur. His engaging commentary will add an amusing element to the event. Mr. Maurer has performed with the ensemble for over 24 years and is artistic director at their concert series at Jerusalem Lutheran Church in Schuylkill Haven. Mr. Maurer is an accomplished musician performing chamber music and solo repertoire throughout the eastern United States, Europe and China. He is currently Concertmaster of the Anthracite Philharmonic and Assistant Concertmaster of the Pennsylvania Sinfonia. He has performed as feature soloist with the Schuylkill Symphony Orchestra, Bloomsburg Chamber Orchestra, Louden Symphony, Pennsylvania Sinfonia and Valley Vivaldi. Cellist Gerall Hieser studied with Orlando Cole at the New School of Music and at Temple University. She received her Master of Music at Rutgers as a student of Paul Tobias. During and after college, she pursued further studies with Raya Garbousova and George Ricci, as well as chamber music coaching from Arnold Steinhardt and Sasha Schneider. Ms. Hieser began to play with Gabriel in 1991. She also plays with the Madison String Quartet, specializing in Latin and Spanish music. As assistant principal cellist, she plays in the Festival Orchestra of New Jersey, a touring group in the Garden State. Agnès Maurer is a native of France, where she studied the violin privately, and at the age of sixteen, she joined the Ensemble Instrumental Andrée Colson, a professional chamber orchestra. She is a member of the Gabriel Chamber Ensemble, of which she is the founder and executive director. Mrs. Maurer has toured worldwide on numerous occasions, including a tour with the New-York City National Opera Company. She is Principal Violist with the Pennsylvania Sinfonia Orchestra, with Allentown Symphony Orchestra, with Anthracite Philharmonic Orchestra and with the Shippensburg Festival Orchestra. 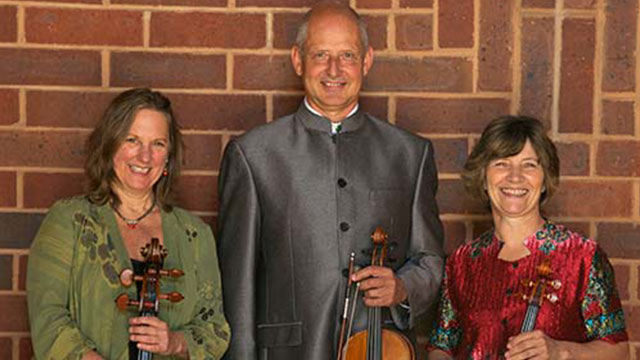 For more information on the Gabriel Chamber Ensemble, please visit their website at http://gabrielensemble.org/.